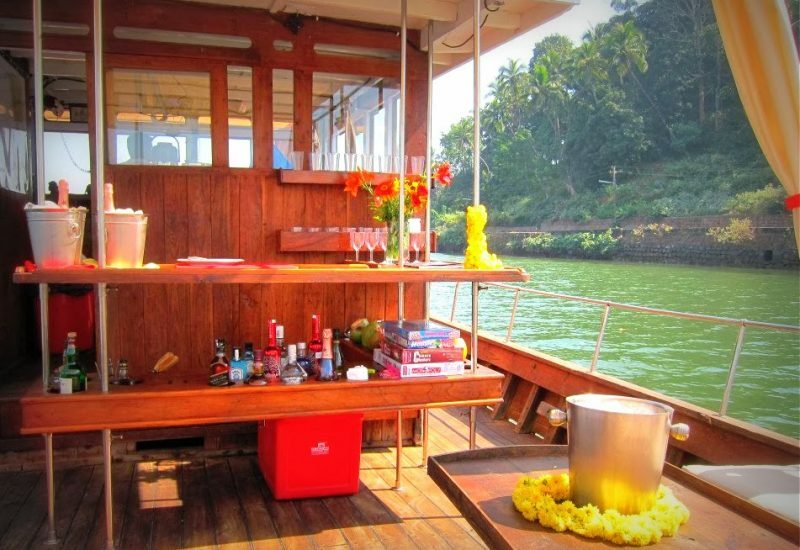 Private evenings are arranged on board while the boat is anchored in a charming spot on the Chapora River. Up to 12 to 16 guests. 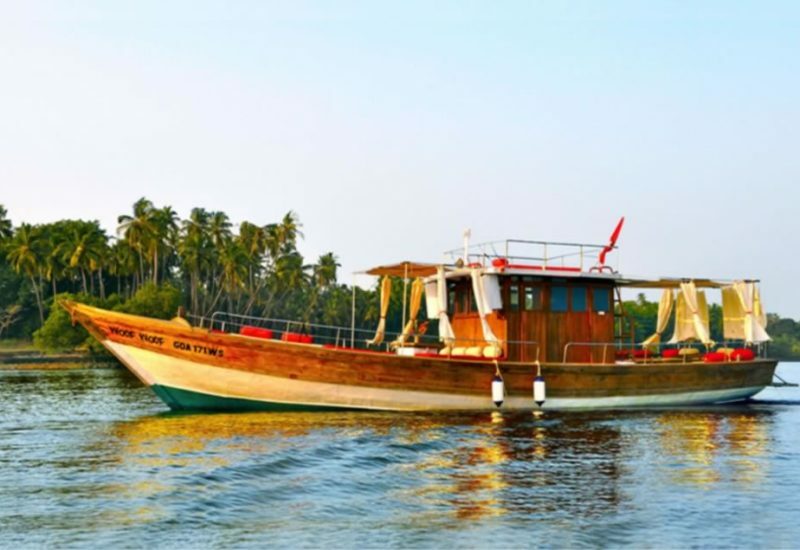 Woof Woof can take you away upstream to explore the breathtaking backwaters of the Chapora River in total privacy or away up to a distance of seven nautical miles into the Arabian Sea. 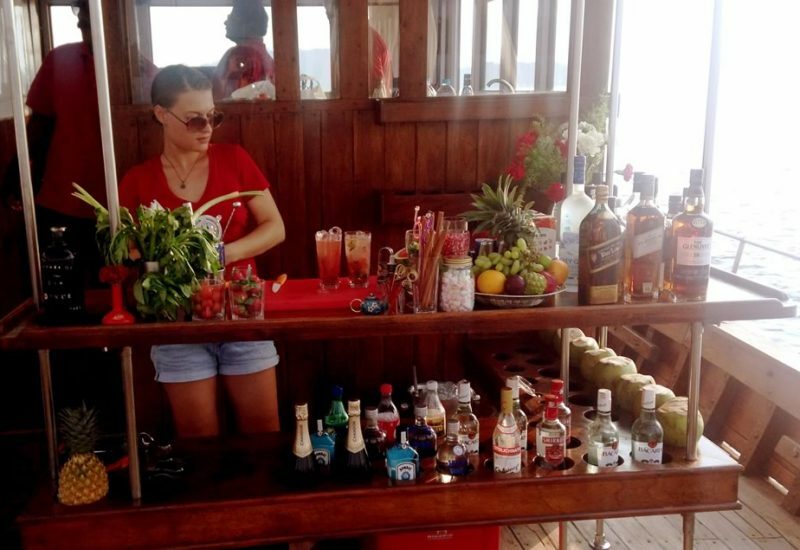 Dive into azure waters, lazily watch a glorious sunrise or sunset or just sip on delicious cocktails while grooving to my tunes. 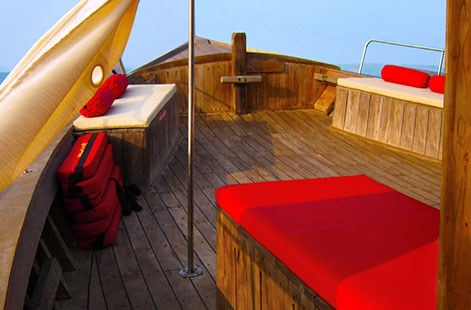 If lady luck is on your side, you might even spot and swim with the dolphins. Since you are initiating the journey — make the booking, gather the Woofs (you can bring up to 18 friends) and start this exciting adventure. 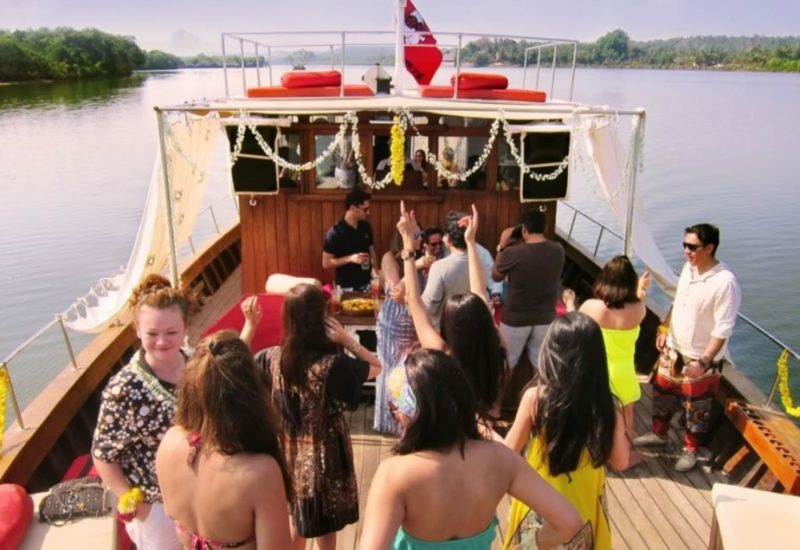 You guide this cruise, have fun, celebrate life and freedom. 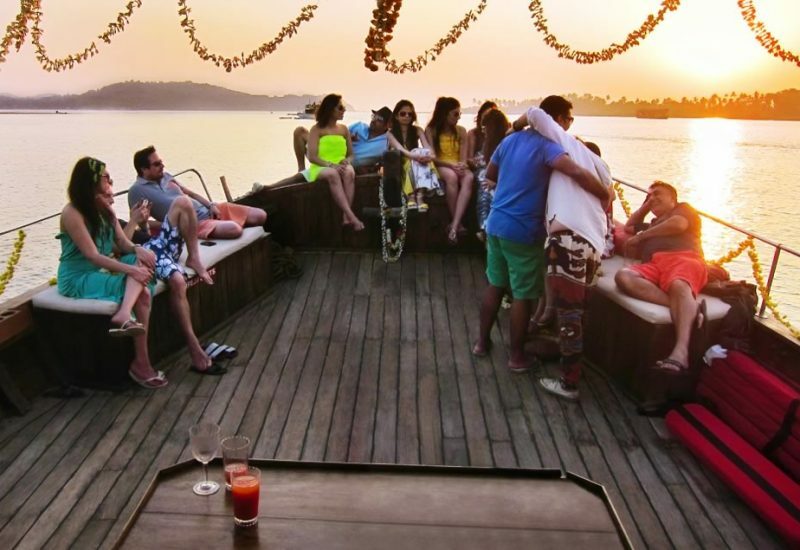 Boarding takes place at Morjim in North Goa at the Morjim fishers jetty in Temb Vado village. The closest landmark 100 feet away is Jardin d’Ulysse. A Woof Woof sign board is placed next to the boarding point. 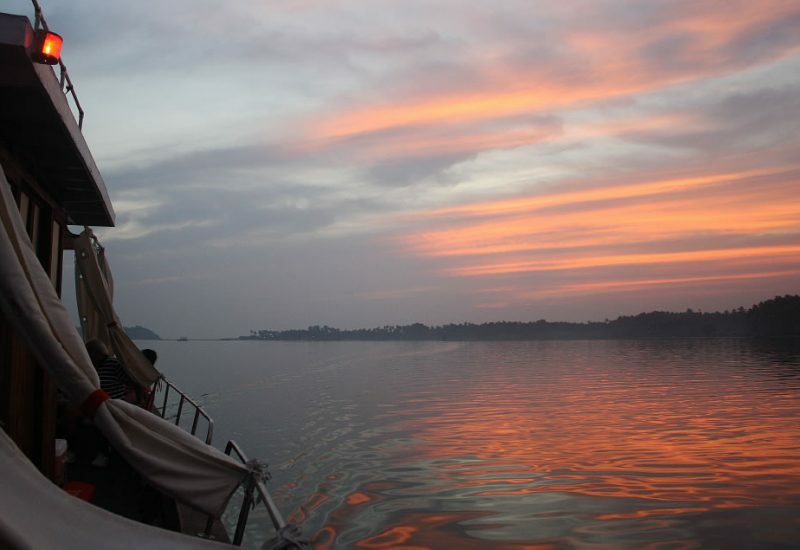 Once aboard depending upon which cruise you have chosen, we explore the beautiful backwaters of the Chapora river heading into deep river country, passing quaint villages along the banks. 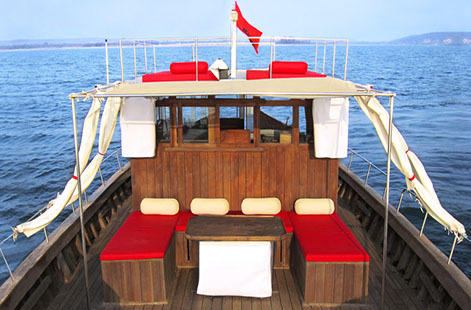 If you have chosen the Sea route, we can head out up to 7 Nautical miles into the Arabian Sea. Alternatively, we can also hug the coastline and skip along it, glimpsing the last Northern beaches of Goa – Morjim, Ashvem, Mandrem, Arambol and Keri all the way up to Terekhol fort into Maharashtra.